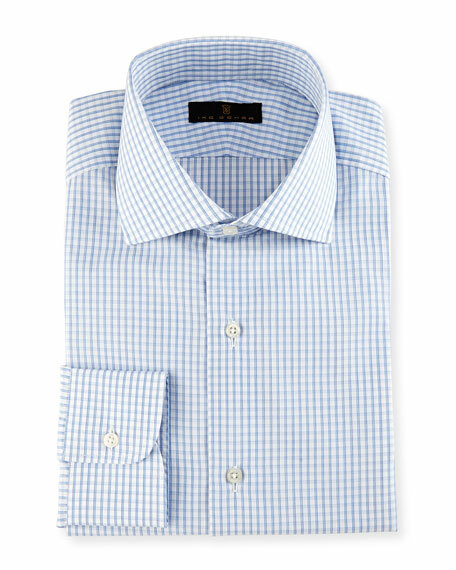 Ike Behar Gold Label represents an unrivaled premium dress shirt. 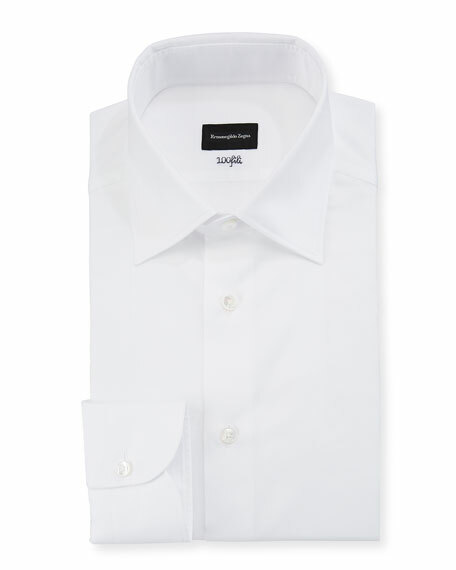 Each shirt is tailored in Italy under the exacting standards that Ike Behar, master tailor, learned and perfected in his father's custom tailoring shop in pre-revolutionary Havana. 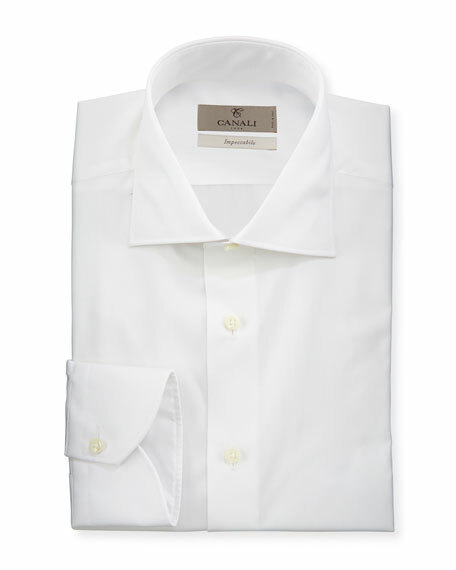 Utilizing only the finest luxury European fabrics, superb single-needle tailoring, and natural pearl buttons, these shirts combine craftsmanship, quality and style with over 50 years of experience. 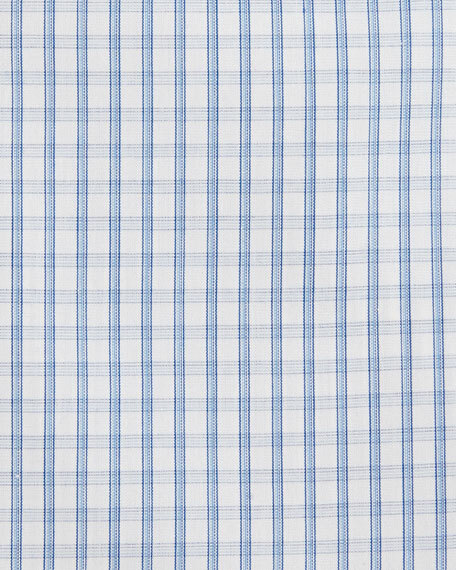 Ike Behar dress shirt in windowpane check. For in-store inquiries, use sku #2045112. Cosabella "Sonia" stretch-knit lounge/PJ top. Round neckline. Half lace-trim sleeves. Semi-fitted silhouette. Shirttail hem. Pullover style. Cotton/nylon/spandex. Hand wash. Made in Italy.